Report of the Advisory Panel on Streamlining and Codifying Acquisition Regulations-Once 8(a)-Still 8(a)? Once 8(a) always 8(a) may not be the case if Panel 809’s recommendations are implemented. The panel seeks to impose hard deadlines on SBA for evaluating whether an 8(a) opportunity should stay in the program or be removed (shut-down concerns anyone?). If SBA does not or cannot comply, the contract may be removed without a like value being placed back in (read between the lines there). The report link is at the bottom of this page. On page 283 of 586, the report proposes to amend the SBA’s CFR to make the SBA respond within 15 days. That section would read: (d) Within 15 working days of the request, the SBA will inform the awarding agency contracting officer of its decisions to concur or non-concur. If the SBA does not inform the awarding agency within that period, release from the 8(a) program shall be presumed and the awarding agency is authorized to proceed with soliciting and award outside the 8(a) program. 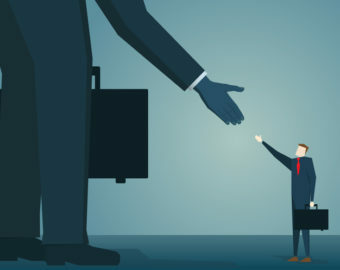 competition by the Small Business Administration (SBA) if concurrence or rejection has not been received by the Small Business Administration after 15 working days. disadvantaged small business concerns.” This program is commonly referred to as the 8(a) program, deriving its name from the section of the act itself. The 8(a) program allows or, in some cases, requires the limitation of competition for certain contracts to businesses that participate in the 8(a) Business Development Program. The program helps the government achieve its socioeconomic goal to award at least 5 percent of federal contracting dollars to small disadvantaged businesses each year. SBA should be allowed 15 working days after receipt of the contracting officer’s written request, described at FAR 19.815(b), to respond with a determination whether to release a requirement from the 8(a) program. If SBA does not provide the requesting contracting officer with a determination within that period, release from the 8(a) program should be presumed and the contracting officer should be authorized to proceed with award outside the 8(a) program.